This is a different approach to the Zodiac sign topic, with somebody you have never met before. It is not a sign divination. 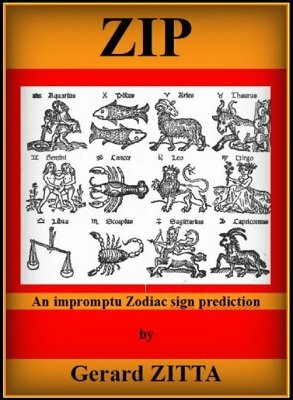 It looks like an improvised and casual prediction of a complete stranger's Zodiac sign. You show them a business card with all the Zodiac signs on it. You ask a participant to name their sign, and on the back of the card, his or her sign was already drawn. You will need a one-time preparation with index cards and a jacket, (or a wallet) to carry it. It does not require pre-show work, pocket writing or dual-reality. I really did like the Month ID way more than Zodiac Prediction. I guessed the method used before I purchased this. I'm NOT saying that this is a bad effect but I'm just not big on the method. Month ID makes up for the bundle but who can argue at the price this is. I'm sure this will work for a lot of people though.